Thank you very much! And that option would be something to consider, yes! You have to keep trying and see if you can get the timing correctly, try closing your eyes! It helps! :) Also, every intro gives you hints on how to beat every type of enemy! The key is to learn the timing by trying many times. :) It also helps if you close your eyes. :) Having an unsheathing sound is a nice idea, though! I will check into that, thank you! Sorry! It restricted until I finished writing the description and all that! It's public now! I don't even know what to say! This is incredibly well made! From the music, to the sound effects, to the gameplay! It's really polished as well! I won't be surprised if it ends up winning the jam or stay in the 3 first places! It deserves all the praise it can get! Congratulations! Great job on this! You were able to bring to it many of the original Splatoon mechanics and that's really good! I loved the music, it fits the Squid Sisters' style! The bomb sound effect was really really loud, so you might want to check that out! But besides that, I really liked your game and you did a really good job! Oh no, really? I think I fixed it now, please check it! And I hope you enjoy yourself! I'd like to start by asking that, if someone has found a way to contact the designer, please tell me how because I can't find him anywhere! Thanks! 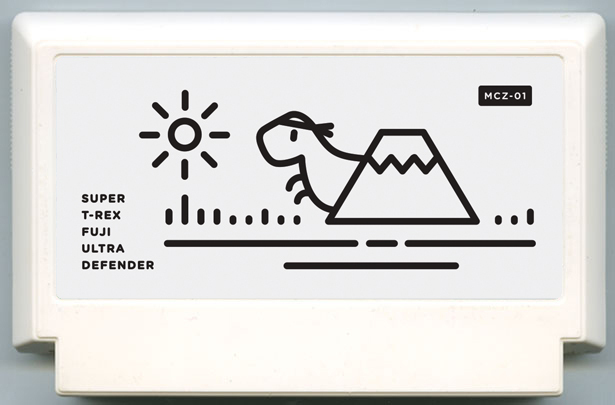 Super T-Rex Ultra Fuji Defender is an arcade game in which the main character, Super T-Rex, is the protector of Mount Fuji. In the game you will defend the mountain against the attacks of evil invaders. At the end of each level you will fight with a mighty Boss. Let's defend Mount Fuji from ancient evil! Our cute little fella is going to save Mount Fuji from some nasty enemies only using its mighty roar and your help! 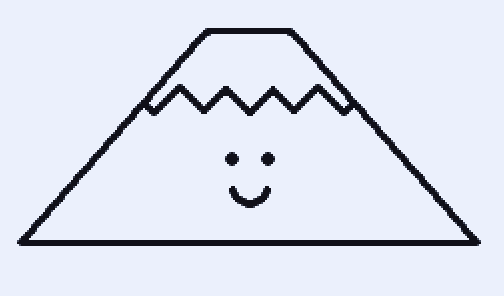 Here is the big (and cute) Mount Fuji, our mount in distress, hoping its friend protects it from all the evil-doers! This game will be a side-scroller with super simple controls, accessible for everyone to play and have a good time with! So this is it for Update #1! Keep checking this thread for more news! A Game By Its Cover 2017 community · Replied to Maggese in Any chance of these appearing on bootlegs? My name is Bruno (but everyone calls me Zushi online so feel free to address me however you want :) ) and I'm a game dev (I make everything except for music :P) and a pixel artist from Portugal! I've been doing this for 2 years but only recently been able to make games more regularly! I decided to join this Jam due to the fact that I've been through a surgery recently and I've been demotivated to go back to drawing and making games. I tried participating in the LOWREZJAM but I had no ideas at all so I'm trying to see if this puts me back on track haha. My idea is also about hats using the Wild West theme! What a coincidence haha! CGA JAM community » CGA Jam General · Replied to Kronbits in Theme Suggestions? That I like more :) You get to make the 2 sides happy! CGA JAM community » CGA Jam General · Replied to Turbo Hermit in Theme Suggestions? Yeah, i get you. Let's just find of a way of balancing ideas. There's no need for fighting, we're here to have fun :) I think there should be 2 options, one for people like me, and another for people like you. One generic and another less generic. CGA JAM community » CGA Jam General · Posted in Theme Suggestions? I'm not against you or your idea, im just extremely upset you're coming here 2 days before the jam starts and want to give a new approach to the theme selection. I'm sure people didn't just get into the jam and were like "see you in a month!" No, they took the jam themes, the possible themes and studied them and thought about ideas and this and that and yadda yadda yadda. Don't take me wrong, I would totally go with your idea of making the themes less generic but right now its TOO LATE for that... Yes, it's true that gamedevs gotta be ready to come up with an idea in a short period of time but why make them do that when the initial idea wasn't even that? If you suggest something like that so late, suggest an additional rule, DON'T suggest a complete change 1 day before the jam. CGA JAM community » CGA Jam General · Replied to internetfett in Theme Suggestions? That is a really nice approach. Yeah but the idea for this Jam didn't seem to be that one. It was gonna be one of the 4 themes that are on the main page, you're just trying to do something completely different. The idea was to have the four generic themes up for voting and one would be chosen and we would have to make games using that generic theme. Not a consistent theme like you said. This is not Ludum Dare. If you want consistent themes, suggest the idea WEEKS PRIOR to the jam. Not one day. I mean, isn't that kinda silly? Oh, so the theme will be Wild west, you have one month to make mockups and think about ideas. Then one day before the jam, you say "oh so the wild west theme will be "Aliens and Cowboys. Must have aliens in the game" " Well, there goes my idea for a game without aliens that I've been writing for a whole month just because someone just decided that the theme should be less general. That just makes more people upset and not want to participate in the jam because it cuts creativity, you know? The palette is already a challenge, why do you want to complicate people's lives even more? Guys, don't take me wrong, but I think leaving generic themes should be the best idea. Because people (like me) have been brainstorming ideas and might have already concepts written down for each theme and 1 day before the jam, you're already deciding on actual themes with actual meaning?? Jut stay with the generic themes the jam organizer gave us and let's vote. Because now, we who already had ideas, have to brainstorm and think a lot again. I think it is a bit unfair for people who already started having all the work writing ideas for games. And I wrote consistent concepts for EVERY theme. Not just little descriptions of ideas, actual pages saying how the game would play and all. And I'm sure other people did the same as me. C'mon, guys, just go with the original themes. I would be okay with it if you had taken that decision 2 weeks before the jam. But 1 day, that's extremely unfair for a lot of people. "Submission open from Wednesday at 11:00 PM to June 14th 2017 at 11:00 PM"
1-Bit Clicker jam community » Devlogs · Posted in OSClicker - An idle game inside an Operating System! 1-Bit Clicker jam community » Devlogs · Replied to TangentFox in OSClicker - An idle game inside an Operating System! 1-Bit Clicker jam community » Devlogs · Created a new topic OSClicker - An idle game inside an Operating System!